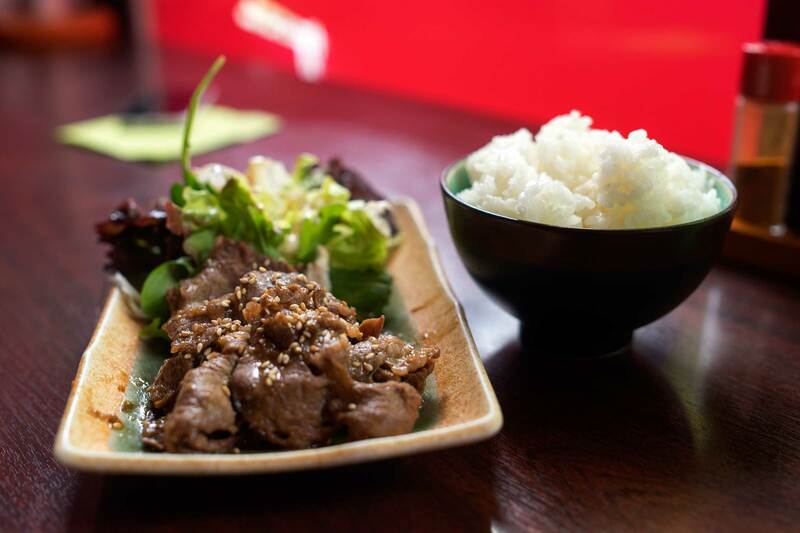 The buzzing Asian restaurant food scene of Berlin is dominated by Vietnamese restaurants and you have to look very closely to find some authentic, Japanese food. 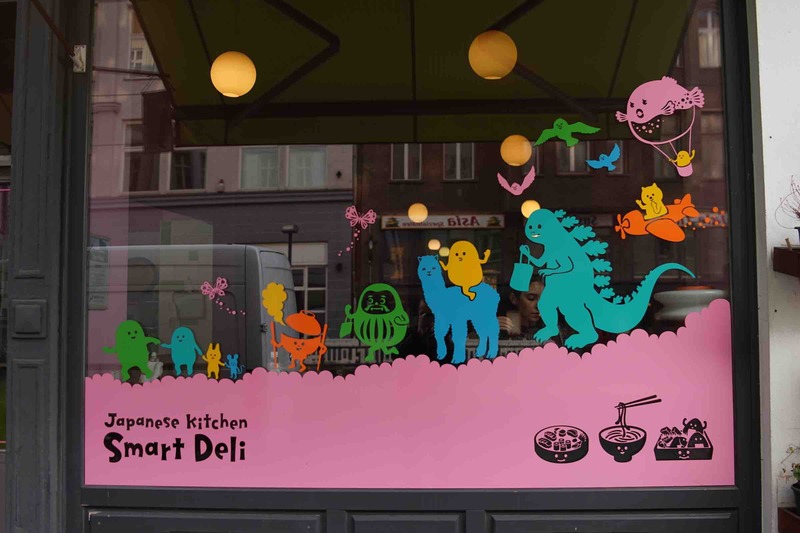 For example at a small and colourful shop on Chausseestraße in Northern Mitte called Smart Deli. 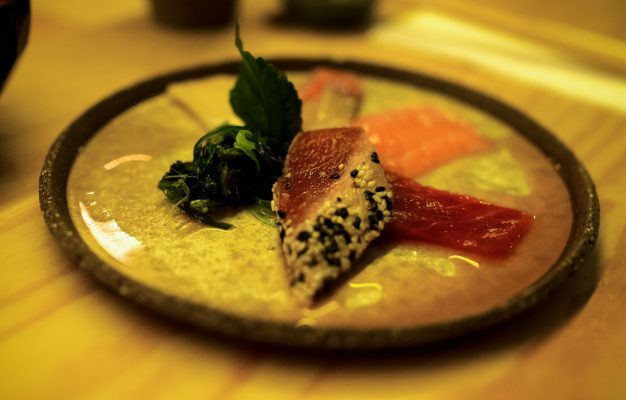 This eatery is by far one of the more authentic and best Japanese restaurants in Berlin and a must visit for anyone who ever spent some time in the land of the rising sun. Smart Deli is quite easy to spot due to it’s quirky and colourful window design, just keep an eye open for the pink cartoon painting. Always packed during lunchtime, you will have to find your seat before you order your food at the bar/cashier. 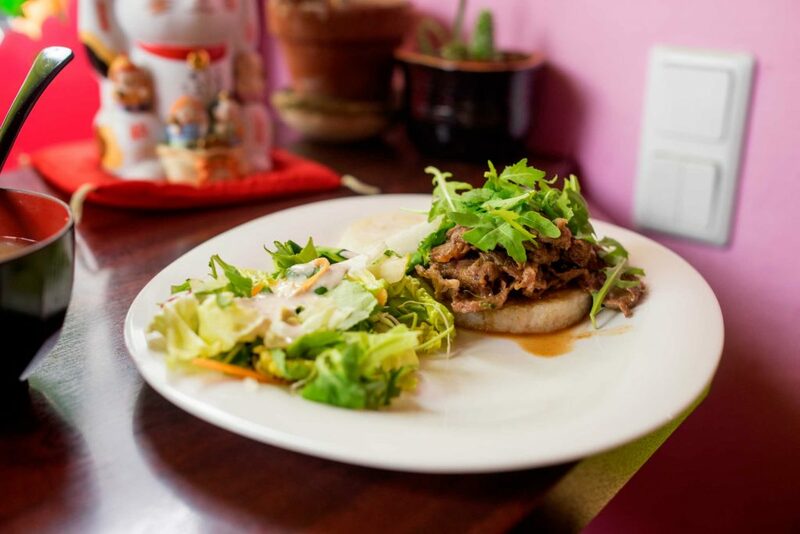 As the name suggests, the place is really more of a deli than anything else and the whole concept is very simple and relaxed. And also ridiculously cheap, the weekly specials are only around 6€. 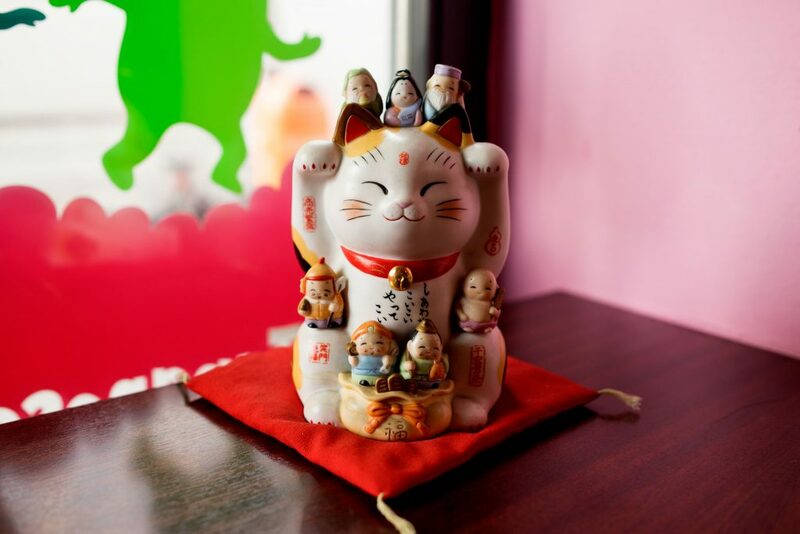 The menu at Smart Deli focuses on Japanese staples like rice bowls, Udon or Soba noodle soups and sushi. 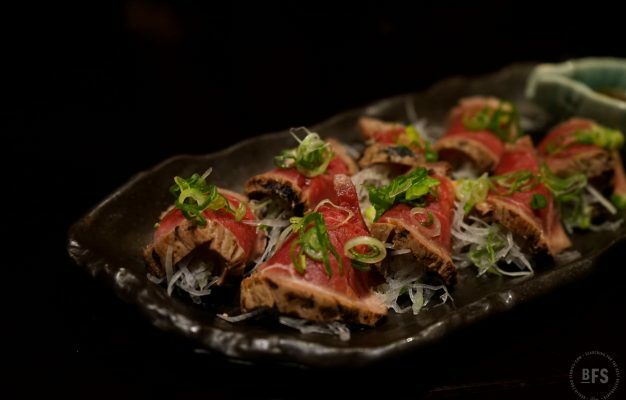 On weekdays there is a weekly lunch with a couple of special main dishes and sushi variations. Here you can get unusual treats like the spectacular Japanese croquettes (oh yes it’s a big and delicious thing) or the Egg & Onion Rice Bowl where boiled chicken and onions in sweet soy sauce are put on rice with scrambled eggs. Truly comforting and very much what a regular, Japanese lunch looks like. And also ridiculously cheap, the weekly specials are only around 6€. A general fact about Smart Deli is that the vegetarian and fish dishes are a lot stronger than the meat dishes. That’s also why I wouldn’t really recommend plates like the Gyua Yakiniku or the Tori Teriyaki. I would instead directly go for two true comfort bombs: The Unadon rice bowl with eel or the Chirashi Sushi sashimi rice bowl. Total winner dishes. 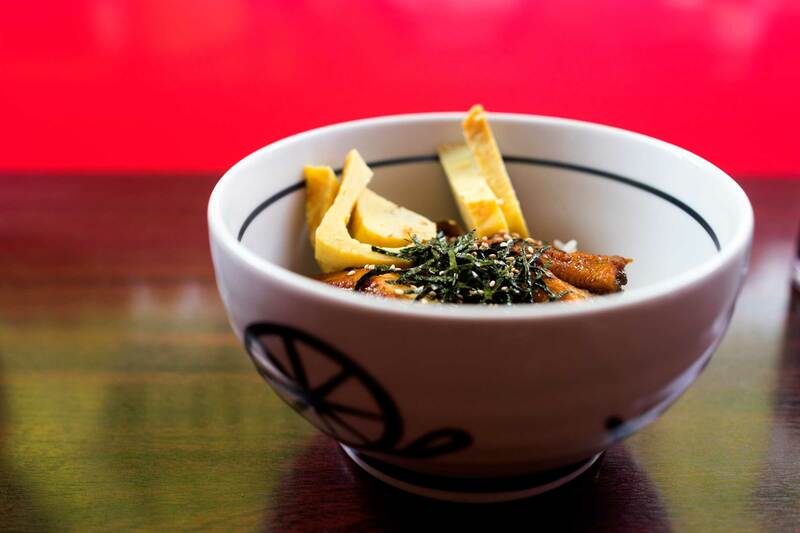 The Unadon rice bowl features a minor mountain of perfectly cooked eel in sweet soy sauce on rice and is a spectacular lunch. 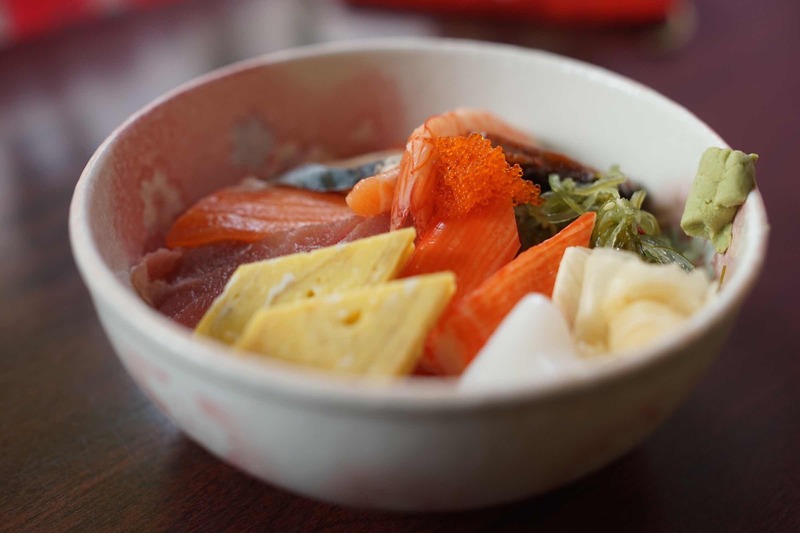 The same goes for the Chirashi bowl, the quality of the fish is relatively great at Smart Deli and you will have to look far to find a better one. 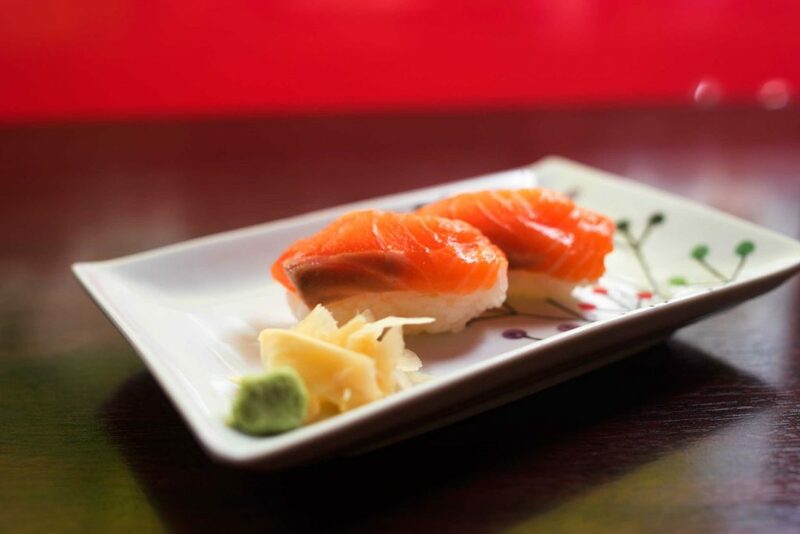 The sushi at Smart Deli is generally also very good and in regards to the general competition it can even be regarded as one of the city’s best. 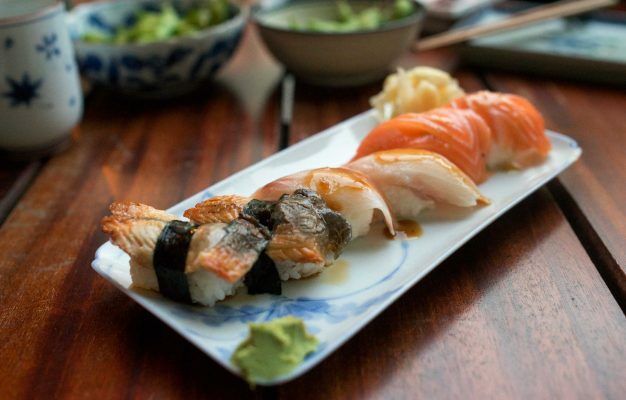 The sushi had the right texture and acidity and the fish quality is just very solid. Smart Deli is a great restaurant and just simply one of my favourite Japanese places in Berlin, especially when we’re talking about lunch. It comes down to the details, they have tons of Japanese drinks and teas and they even have the Japanese pancakes with red bean paste. The food is lovely (if you order the right things) and the people working there supremely friendly. What could you want more?